"I want to share my knowledge of CrossFit with those just starting the sport as well as my knowledge of web development and internet marketing with Affiliate owners to help grow their business." 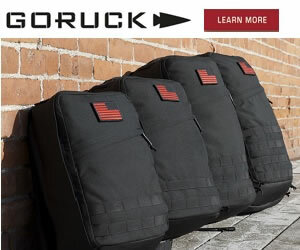 Want to recieve updates and special offers in your email inbox? All we need is your name and email address. Just getting started or don't know where to start with Fitness? Then start here. Where Does the Fat Go When You Lose a lot of Weight? There are many theories explaining where our fat goes after we lose a lot of weight, but which one is correct? Is fat being converted to energy or muscles? Does it leave our bodies in the form of sweat? Is it excreted? Is there something else what we are yet unaware of? Can You Gain Muscle Mass While Eating Paleo? Cory from GarageGymSetup.com stops by and talks to us about gaining muscle mass while on the Paleo diet. What’s the verdict? Read on and find out! Can What You Wear Improve Your Performance? What if what you wore could improve your performance? Well…maybe not directly. Wearable technology may not make you be able to lift 10 more pounds, but what it can help you do is measure your current performance, and we all know the more you measure, analyze and report on your performance the more you improve. You’ve heard the expression, “Don’t work hard, work smart.” Well, when it comes to working out, it may be particularly apt. Regular exercise is one of the healthiest habits we can cultivate in our lifetime,but if our expectations are a little skewed, it won’t yield the results we’re after. Show your support and buy me a cup of coffee! Copyright © 2019 EveryLastRep.com. All rights reserved. 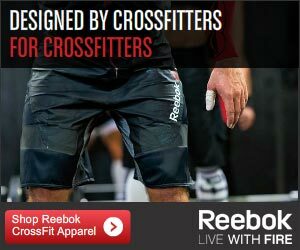 EveryLastRep.com is not affiliated/sponsored/endorsed/associated with CrossFit, Inc. in any way. All opinions expressed on EveryLastRep.com are the sole opinion of Justin Johnson (owner of EveryLastRep.com) and do not reflect the opinion or stance of CrossFit, Inc.
Functional Fitness, & Nutrition Info in your E-mail Inbox! FREE Updates on all of the following topics! You'd be crazy not to sign-up!